VOLUME and Last Visible Dog Records are pleased to announce James Rushford’s final US performance before the artist returns to Australia. The evening will feature performances by Nephila (Shannon Kennedy of Pedestrian Deposit), an electro-acoustic set from Ted Byrnes and Michael Gelinas, and a rare Joseph Hammer and Rick Potts duo. James Rushford is a composer-performer and is currently a lecturer in the music faculty at CalArts. He has collaborated with a number of notable musicians, including most recently Oren Ambarchi and Kassel Jaeger, on their 2016 album Pale Calling. Other significant releases include Manhunter, an LP released in 2013 with Joe Talia, and his 2012 collaboration with Ambarchi, titled Wreckage. He has performed with Michael Pisaro and Tashi Wada, among many others, and composed soundtracks for films by Dennis Cooper and Michael Salerno. His music and performances have been published by labels including Touch, Mego, and Graham Lambkin’s KYE. Nephila is the solo project of Los Angeles-based artist Shannon Kennedy, who is also known as a member of Pedestrian Deposit. Here, she combines her work as a string player, visual artist, and theater designer to create performance pieces that center around her sonic sculptures. Joseph Hammer is a sound artist from Los Angeles who has been active since the early 80s as a member of the LAFMS collective. His releases include 2014’s Roadless Travel on Art Into Life Records and 2010’s I Love You, Please Love Me Too on PAN. He has performed live in collaboration with a wide variety of artists, including recently Carl Stone. Rick Potts, a founding member of the LAFMS, is a multi-instrumentalist and visual artist who has been a leading figure in experimental music in Southern California for over forty years. This event will mark a rare opportunity to see the two artists perform as a duo. Ted Byrnes is a drummer/percussionist living in Los Angeles. An alumnus of the Berklee College of Music in Boston, MA, he comes from a jazz background and has since made his home in the worlds of free improvisation, new music, electro-acoustic music, and noise. 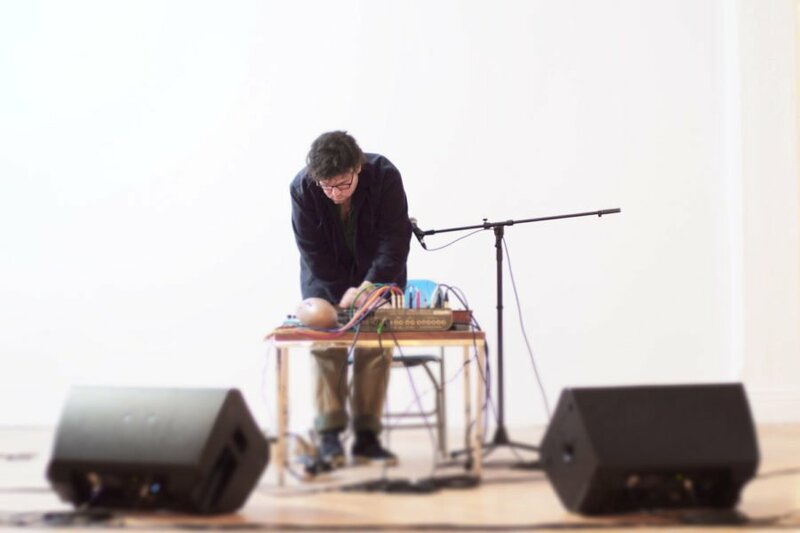 Michael Gelinas is an improvisational musician who primarily works with microtonal and drone techniques on electric guitar and electronics. Gelinas is a recent graduate of Arizona State University where he studied Interdisciplinary Arts and Performance, vastly informing his practices concerning automatism, sound installation, and composition.